For more than 90 years, McWane has enjoyed steady growth and increased our workforce. 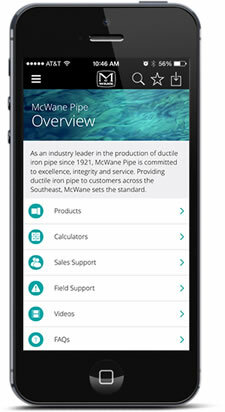 Today, McWane provides approximately 6,000 jobs in more than 25 manufacturing plants, including 13 foundries and 27 additional sales/distribution locations across the world. We also realize that a diverse workforce is a strong workforce. By valuing individual differences and recruiting employees with diverse backgrounds and skills regardless of race, gender or ethnicity, McWane employs the industry’s most knowledgeable people in the areas of production, manufacturing and management. By leveraging our employees' insights and experiences throughout our organization, we better serve our customers and create innovation in markets where our products are used.